Bring Digital HQ has been busier than usual this week. 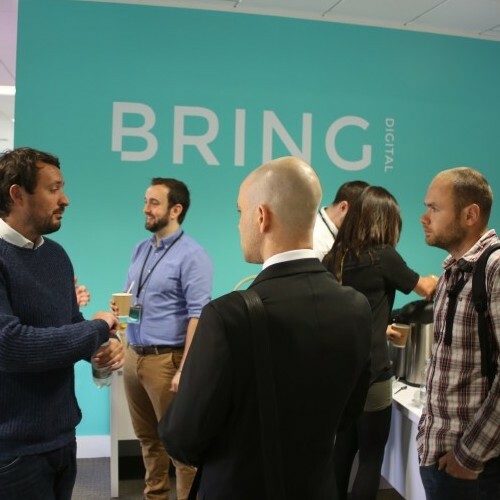 We opened our doors to business owners wanting to learn a trick or two about the world of digital marketing. With free breakfast to tempt them through the door, we prepared a morning of insightful presentations to share our expertise, and hoped they wouldn’t leave after sneaking a pastry or two! We’ve always wanted to position ourselves as approachable and we know that a lot of people are perplexed by SEO. However, through webinars and free training sessions we’re hoping to change the way people view the industry and empower SMEs with the knowledge to market their businesses online. Presented by our MD and various heads of department, we talked an audience of more than 30 people through the world of SEO, social media and PPC. The boardroom was so full, we couldn’t even close the door! With 3.5 billion Google searches happening every day, it’s vital that business owners tap into this. By making sure your business turns up in related search results, you can be putting your products and services in front of an active audience simply waiting to discover new websites to explore. However, making sure you’re seen can be a concern for young businesses, but that’s why we’re here to ensure smaller companies are empowered to go up against their competition online. Our MD, David Ingram, was quick to point out that being found for particular search terms is actually simple, asking only three key questions: Is your website relevant for the search term used? Is your website demonstrating trust and authority? 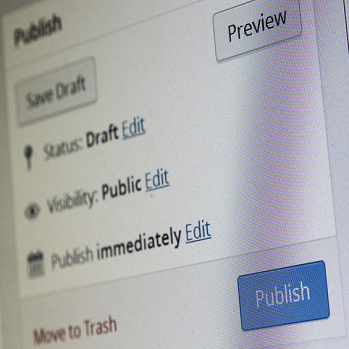 Is your website the best answer to the user’s search query? Of course, you can really dig in with keyword research and competitor analysis, but you should be really looking at the very basic three questions before you dive in head first and lose your way. 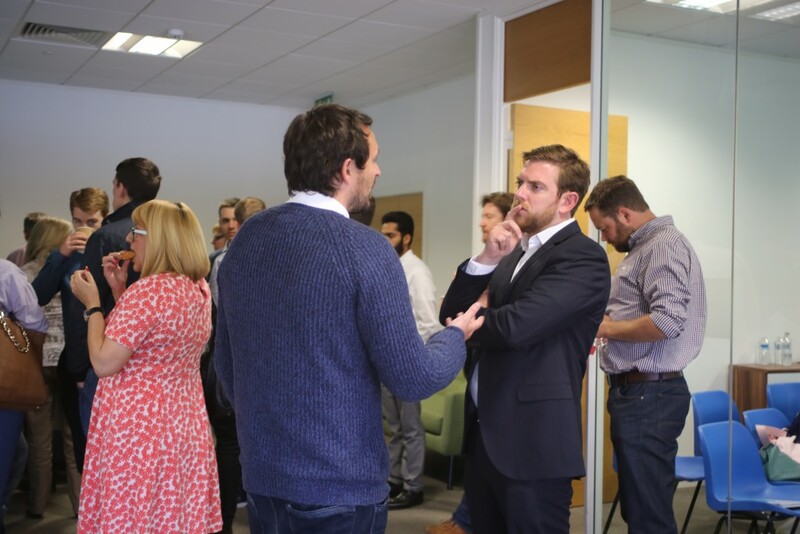 Many of the attendees were local businesses from around Bolton, so David made a point of highlighting the potential of local search, which has become increasingly sophisticated and targeted in the past year. Next up, Kieran Edwards, Head of Social Media here at Bring, talked the attendees through creating an online presence. A lifeline for businesses, social media helps to push your message further. Building a community online can keep your brand in the mind of your target audience and it’s a great way for SMEs to create their own brand identity. This is a realm where you can get really creative, yet Kieran was quick to point out that it’s not just about your brand’s voice, it’s equally as important to provoke your audience to use their voice. Evoking engagement and getting your customers involved with campaigns really keeps the relationship between you and your customers alive. Finishing off with the all-important PPC run through, our Commercial Director Lee Frame was on hand to offer our attendees a quick tutorial on paid search. Paid search is often a go-to tool for businesses who are still trying to build their authority online. PPC still confuses a lot of people, which is why the likes of Lee, who has vast experience of managing huge paid search budgets, are in such high demand at the moment. You can learn more about our PPC offerings here. 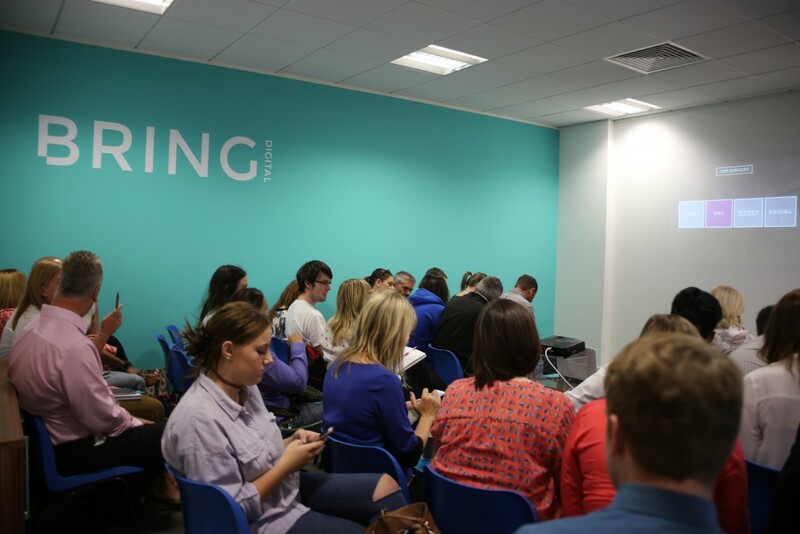 Giving these businesses the skills they need to thrive online, we aim to host plenty more events in the future. Make sure you’re up to date with all of our free training events and webinars by following us on Facebook and Twitter!